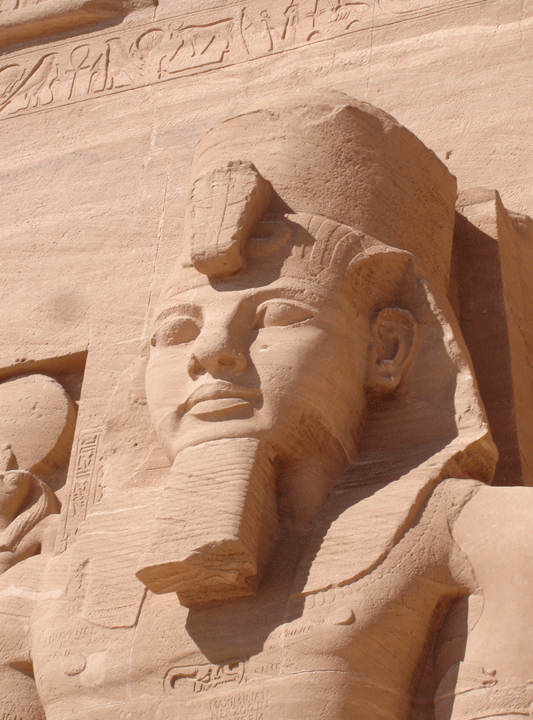 Once again we find ourselves looking up at a larger-than-life statue of Ramesses II. 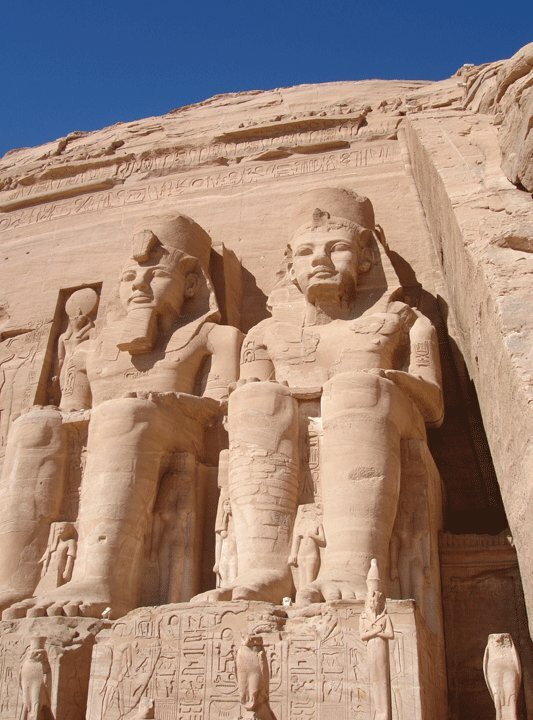 It is evident the Egyptians were building for the gods, not mere mortals. Even the smaller figures around the kings legs are more than twice life size. These figures represent two of the more than 100 children of Ramesses II. Princess Beketmut stands between his legs while Prince Ri’amsese stands to the right.